Hussein Al Balushy Marriage Hall is located in Barka,Oman, the suburb of Muscat where is with blue sky and fresh air. 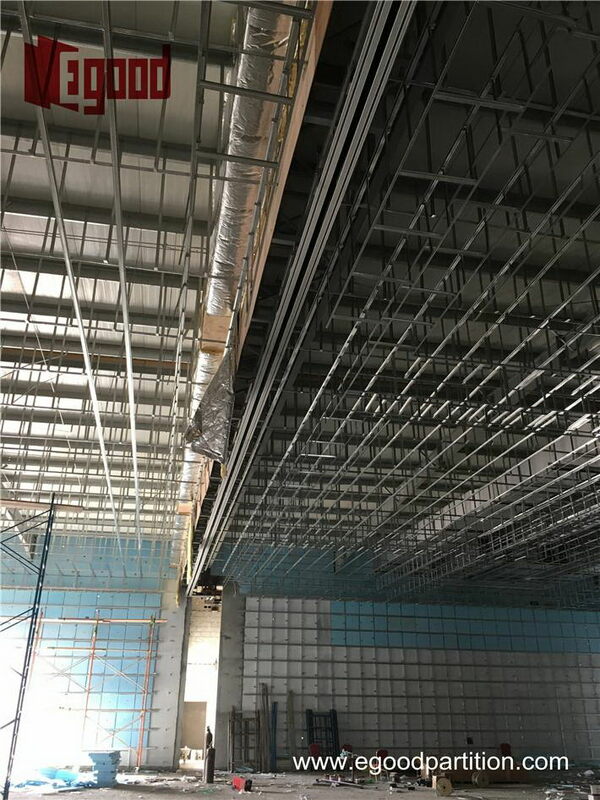 The hall covers more than 10000 square meter which is under construction currently. The hall is designed to be the largest marriage hall in Barka, mainly for catering weddings. 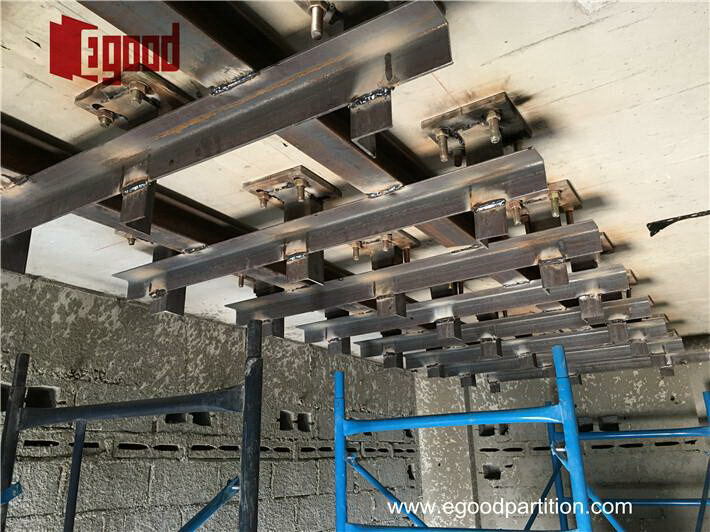 Egood provides full service from design to installation. With good preparations,we sent the track in advanced. 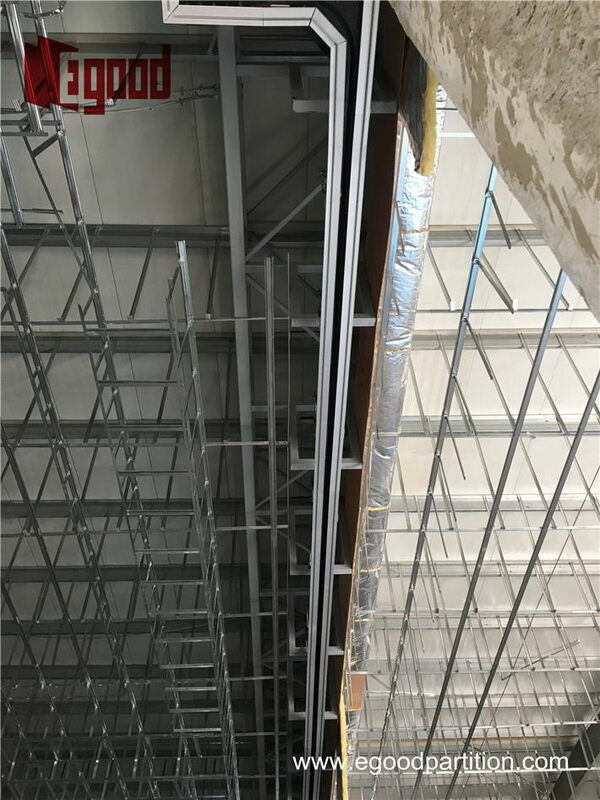 On 22th Jan, our project manager and engineers arrived in site as supervisors for the movable partition wall track installation. 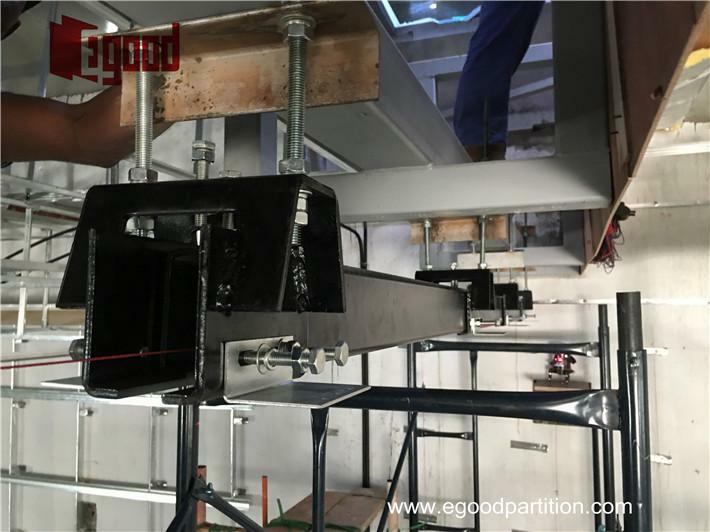 The ultrahigh steel track was adopted in this project, it has the bearing capacity of 1300kg/panel. 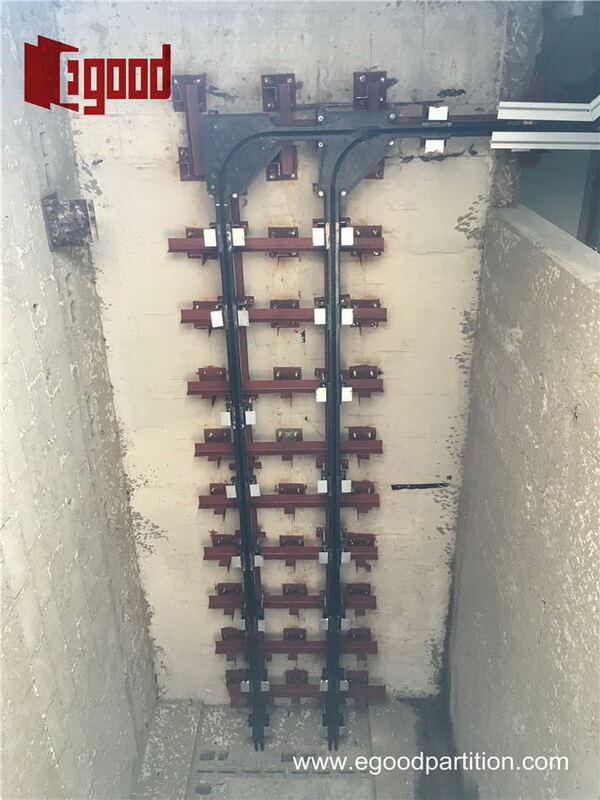 Before track installation, the size must be measured again and the storage area was marked accurately, accessories were fixed accordingly. 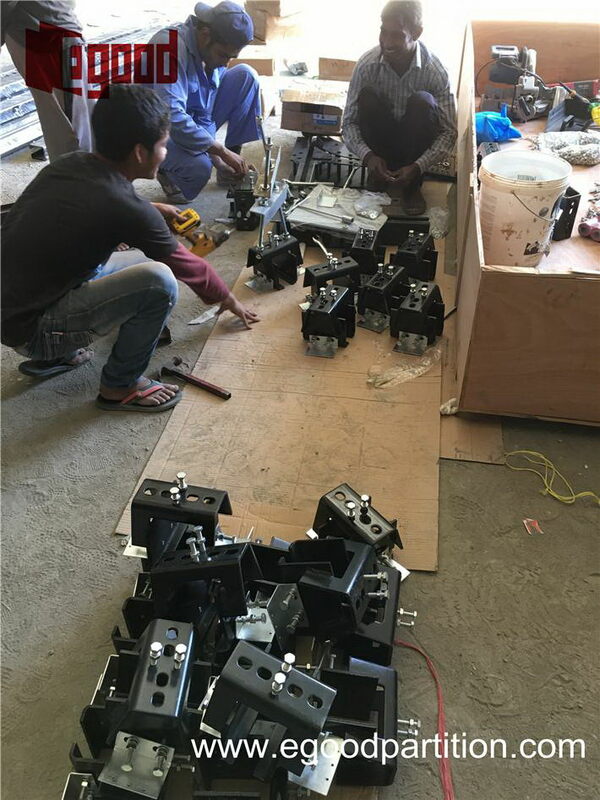 After getting all accessories ready, our engineers started to supervise track installation. 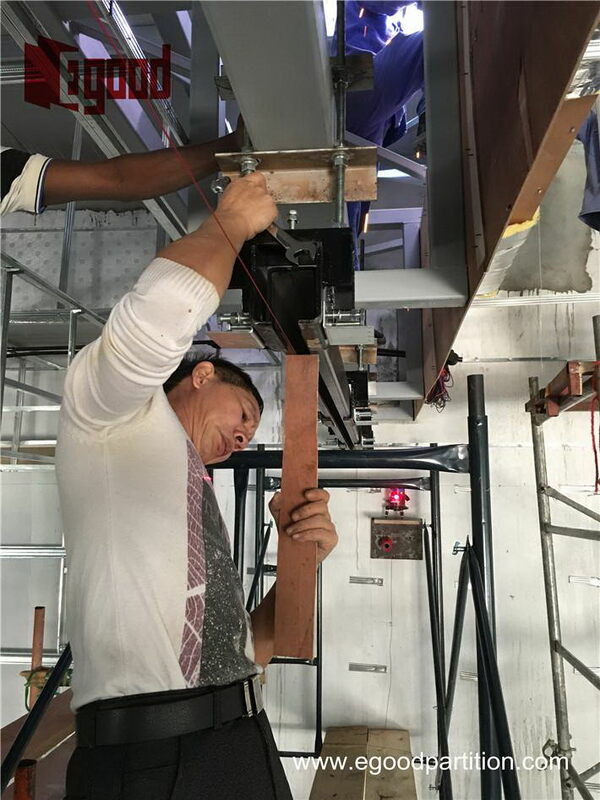 The track was fixed under the truss directly, the truss was estimated to have the bearing capacity of 12 tons. 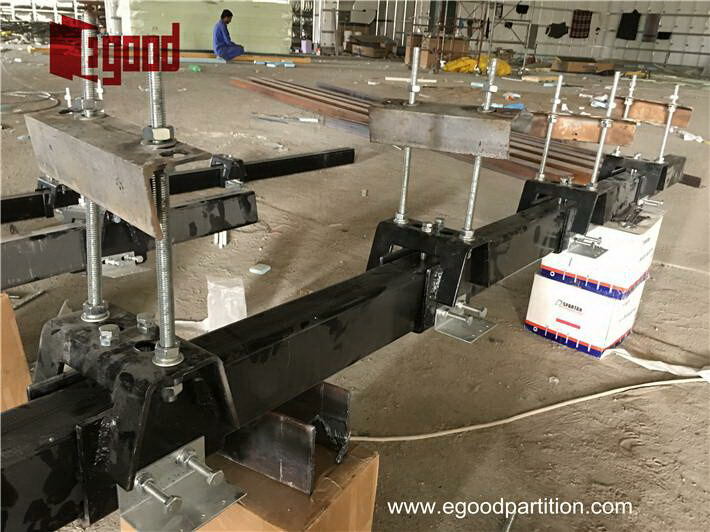 a steel structure that has 20 tons bearing capacity. After few days work, the track was successfully installed as schedule. 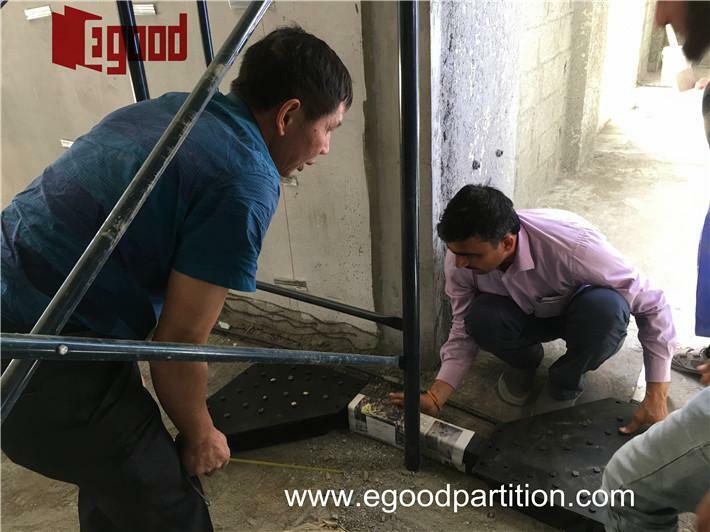 The owner was satisfied with the work that Egood’s project and engineer had done. 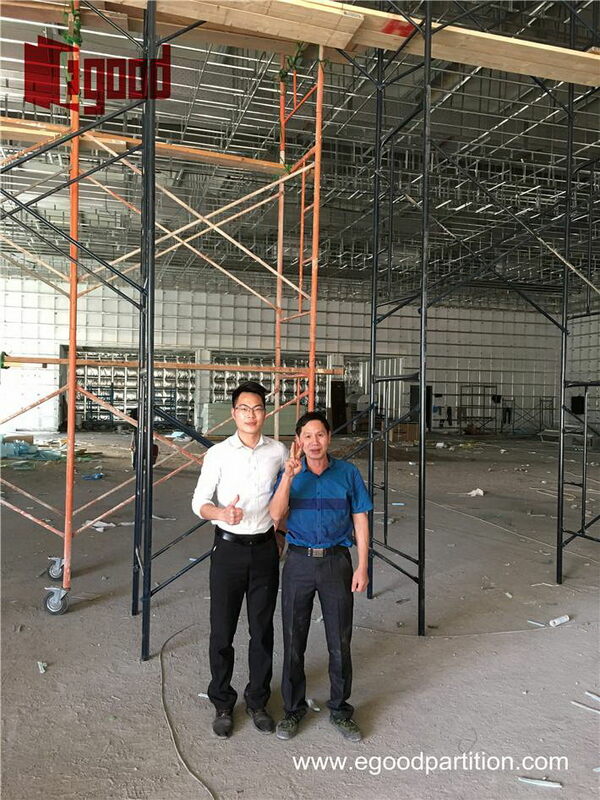 Hopefully, our staff will come to site again few months later for supervising the movable partition installation. 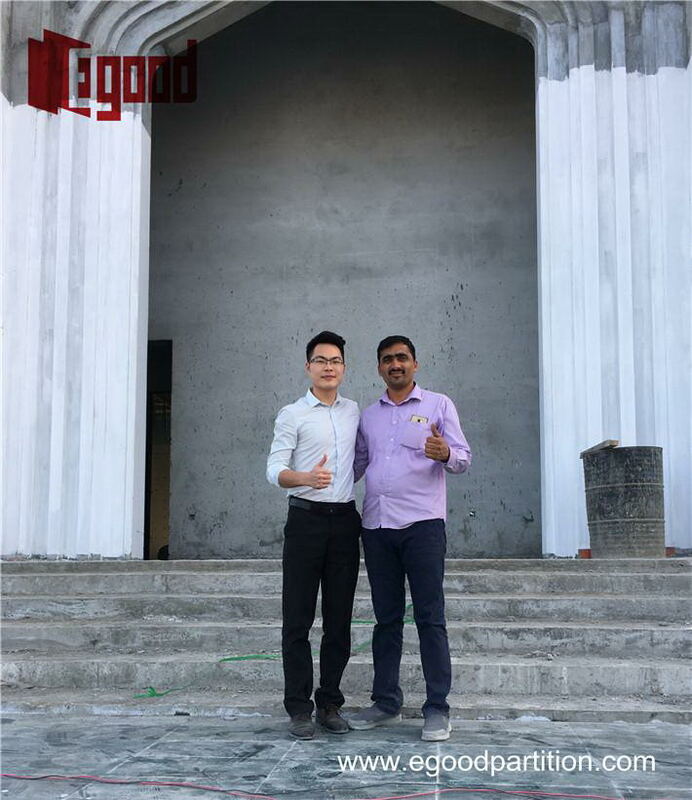 Let’s wish the project to be completed successfully soon.